I Really Don't Know Clouds, At All. Sara Bareilles sang the most amazing cover of one of my all-time favorite songs. She sang it patiently and slowly. Here is Sara’s version from last night. Listen if you dare. I cried. they shake their heads, they say I've changed. It’s been an exceedingly long time since I have had a weekend evening to myself. Tonight’s the night. I just paused the last episode of “This is Us”, which I missed due to underwater vacationing, (Do you watch it, too? I cry absolutely every episode thinking, “These people really love each other.”), so I could yell this from the mountaintop. Push “Play” to restart “This is Us”. I am about halfway through. Watch the first two episodes of “Girls”. It’s the final season! Order a sausage and onion topped with lightly dressed arugula pizza. Pour another glass of wine. Watch the first two episodes of “Big Little Lies”. Is it good? I am intrigued by the cast and it is one Liane Moriarty book I have not read. 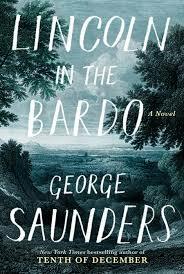 Snuggle up in bed with Lincoln in the Bardo by George Saunders. I am meeting him next Thursday and I really want to have it finished by then. Lights out. Should be after midnight by then. Yes, I understand this all sounds like a snoozefest. I am boring. At least some of the time. Did you not know this? Have a wonderful Friday night however you are spending it!!! Some holidays, Hallmark or otherwise, have a unique vibe year after year. Some years I remember longing, passion, young love. Others have been laden with tantrums as school-aged children threw fits over classroom card options at the drug store. And candy. Some were wine soaked and dripping chocolate fondue. Others were met with exhausted bodies, minds and spirits longing, this time, for bed. Just bed. No monkey business. Most have been smooth, easy, not terribly spicy, exciting or dramatic. Peaceful and calm. And monkey stuff. I didn’t have to be to the aquarium until 8:00 a.m. today, so I planned to sleep an extra hour after staying up late last night because I could! In my life, best made plans are usually meant with some type of resistance. And this Valentine’s Day morning was no exception because I was woken before 6:00 a.m. by what I thought sounded like a siren. In actuality, it was my better half vacuuming in the kitchen with my, in very close proximity, bedroom door wide open. Ummmm. That’s not very considerate, is it? Especially on the big V-Day. Or any other day! I stumbled into the room all blurry-eyed, grumpy and What-the-Heck! He was vacuuming out the inside of the washer. Huh? He didn’t have his usual, chipper, happy face on. I guess somehow there was a hardback book washed along with (his) clothes. I can confess to loading the washer with my his dirty clothes last night, but I did not actually start it. Don’t you think we share equal responsibility for the mess? And a mess it was. Obviously, I didn’t put the book in there on purpose. For shame! But I was responsible and any amount of turning things around was not going to work. My fault. So the morning of this special day, at least here, did not start all light, love, and happiness. It’s still early though and I did get a smooch before he walked out the door. He gets over things extremely fast, and there's only one way to go and that's up! Now I just need to tell him I ruined one of his favorite shirts. Maybe I'll wait until tomorrow. Maybe it will just disappear into thin air. It's Monday, February 13th! What Are You Reading? Quick, Quick!!! I say “Quick, Quick” because I would rather tell you about my experience in a Mayan sweat lodge while it is fresh in my memory. Though first I need to write it down. 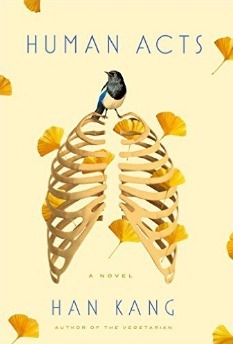 What have I recently finished since we last discussed? Nothing. I was on vacation, but not on the type of vacation that made reading easily prioritized. Actually, most days/nights, I did not have the mental or physical capacity for it. The same stuff as last time though I am a bit further along. About halfway through and it continues to engage. It is funny, too. 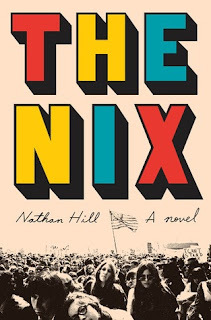 I now know what "The Nix" is! Love when the meaning of a title is illuminated. I also love the cover art on this one, too. It makes perfect sense for the story. This book is really good and I fully understand the "buzz" surrounding it though I wish I had more time to devote to it right now. 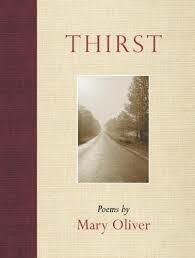 I am a Mary Oliver fan through and through. I just love her. This collection returns to what I think Oliver writes about best, her observations of nature and her surroundings. Thirst is exactly what my desiccated lips and mind need right this very minute. I have taken to reading each poem once internally then out loud for the second time just to see if the experience is different. Feels different. It does and I will continue on this way. Will be finished today, sadly. Almost finished and almost wish I was not listening to this. It is a bit confusing as there are so many names that sound similar, and the timing goes forward and back. Maybe it’s me. Still, it is compelling and sad and heartbreaking. Why are we so cruel to one another? Of COURSE! I have pre-ordered my copy for his event on March 2nd, and it is available for pickup TOMORROW!!! WOO HOO! Can’t wait. I am sure I will finish it before I come back for “It’s Monday, What Are You Reading?” next time. Wait. I’ll be out of town. Trust me, it will be finished! Okay, how about you? Any recommendations or books you think I should read? In cleaning out the content's of my phone's notepad, I found a few poems I wrote many moons ago. 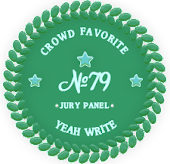 This one seemed an all right fit, despite the need to edit out fifty words, for Thin Spiral Notebook's 100-word prompt. The word is "telling" to be used or implied. Give it a whirl. It is a blast!